As a regular coffee drinker, I certainly need coffee to lift my mood in the morning. I miss coffee in Melbourne, because I can easily get a good coffee by paying just AUD3 (do not mention the currency conversion). But in Malaysia, it is so difficult because most premium coffee cost at least RM10 for a cup, of course not to compare with the Kopi O, or coffee 3 in 1. Can you imagine how much I gonna spend on my coffee consumption if I need at least 2 cups per day? The good and affordable coffee that I'm taking everyday now is the cappuccino from Mc Cafe as it only cost RM4.75 for a small cup. However, today I have got another coffee consumption solution; which is own a coffee machine without paying a single cents but having a premium coffee all the way from Italy! 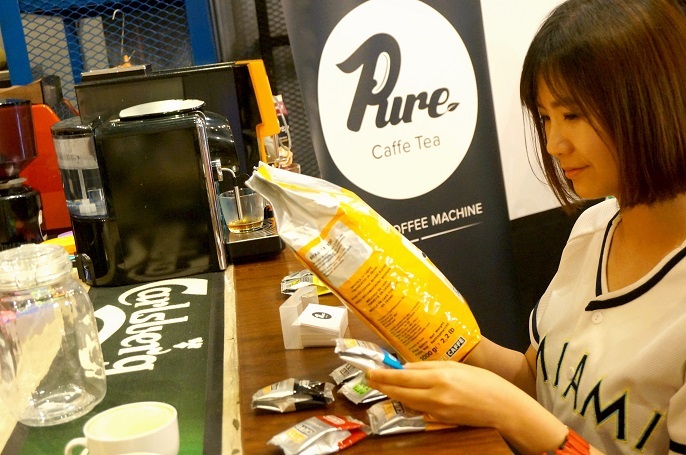 Pure Caffe Tea is an imported coffee from Italy. It's principal coffee roasting company has been established since 1930, which has more than 80 years from now. The corporate headquarters located in Milan, Italy, with 2 productions plants in Italy as well as Switzerland. The company has constantly improved their roasting process in order to offer different taste of coffee to satisfy different needs in the market. That's why Pure Caffe Tea has the highest quality coffees experiences to their customers, whereby allowing the customers to enjoy the highest quality coffees and teas moments. 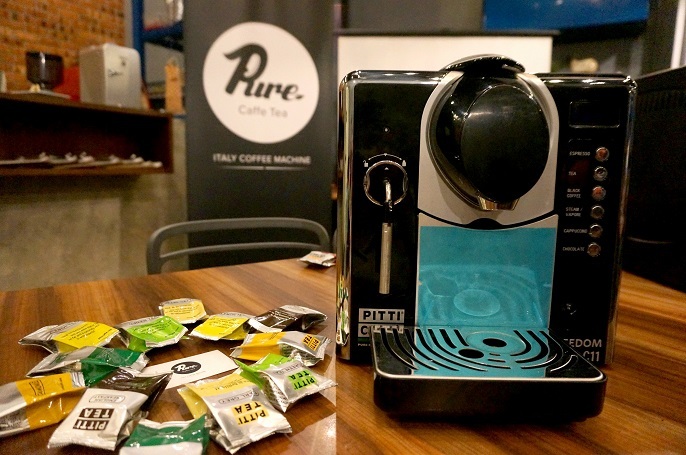 Pure Caffe Tea has a simple concept to make a perfect cup of Italian coffee and tea by pushing just a button on the smartly-designed and convenient machines. With the original Italy coffee beans, tea leaf, capsule and machine, anyone can make the perfect coffee, such as cappuccino, latte, and tea. What's more! 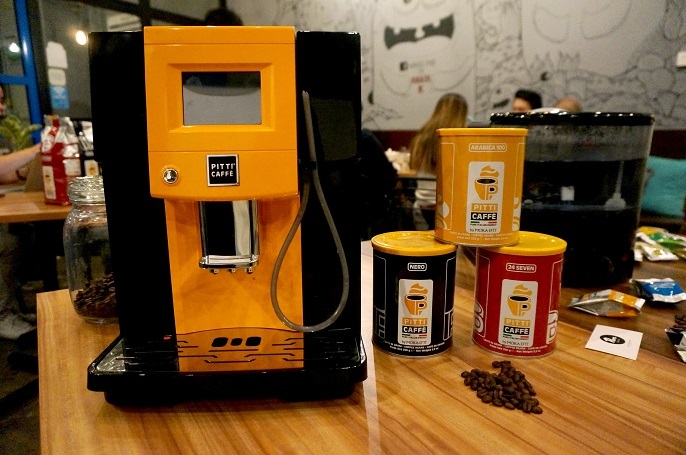 You can even be your own barista at home too! 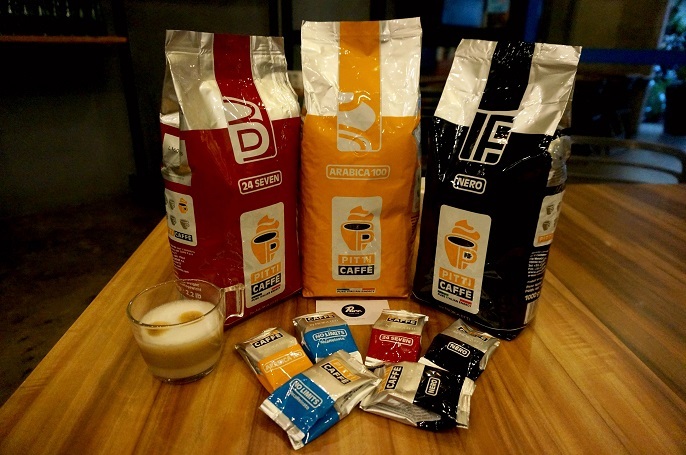 The roasted coffees come in different packaging such as vacuum packed, tin packed and capsule packed to ensure freshness. And the coffee comes in 4 different flavours which includes Arabica 100, 24 Seven, Nero and Nolimits. #1 Arabica 100 in yellow packaging has 100% Arabica coffee beans. - Origin of beans are from Columbia, Santas, and Ethiopia. - Aroma 5/5 . Body 4/5 . Acidity 5/5 . Sweetness 4/5. 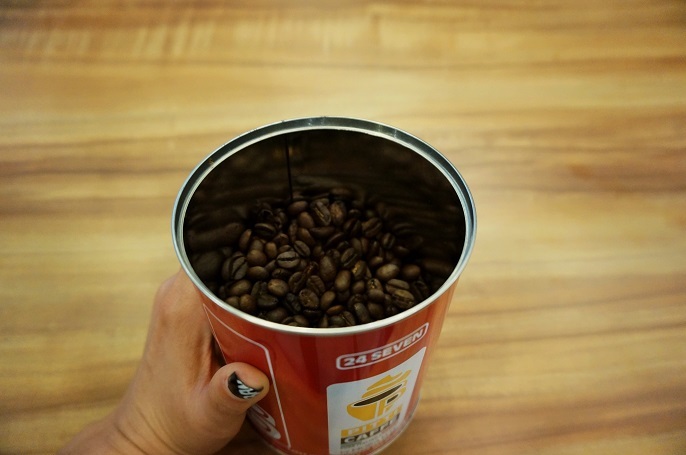 #2 24 Seven in red packaging has 70% Arabica and 30% Robusta coffee beans. - Origin of beans from Brazil, Columbia, Ethiopia, India and Guatemala. - Aroma 4/5 . Body 4/5 . Acidity 4/5 . Sweetness 4/5. 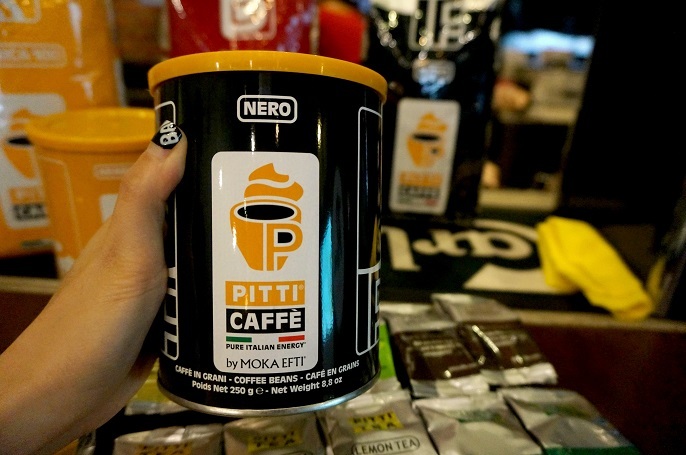 #3 Nero in black packaging has 30% Arabica, and 70% Robusta coffee beans. - Origin of beans from Toga, Uganda, India, Guatemala, Brazil, Columbia and Ethiopia. - Aroma 3/5 . Body 5/5 . Acidity 2/5 . Sweetness 3/5. #4 Nolimits in blue packaging has 50% Arabica and 50% Robusta coffee beans. And, my first choice goes to the Arabica 100 because it is smooth, aromatic and also has a good coffee smell! 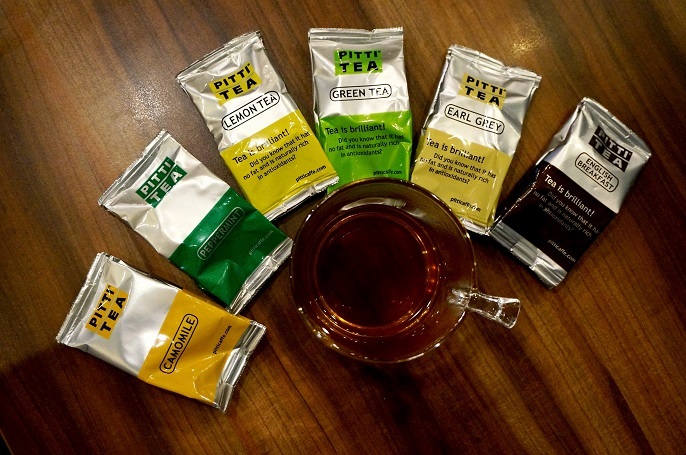 If coffee is not your cup of tea, Pure Caffe Tea also has 6 tea flavours for you! #1 Early Grey Tea for aromatic. - Ingredients: Black Tea Blend. - It's a typical British beverage that nearly everyone has heard of. Early Grey Tea is a unique black tea that has been treated with a touch of oil from bergamot orange. #2 Lemon Tea for uplifting. - Ingredients: Black Tea and lemon. - It helps in thirsty quenching and refreshing and also a tea that appreciated most in winter and summer. #3 Green Tea for cleansing. - everyone knows that green tea is good for your health as it helps in refreshing. It has very least processed but with powerful antioxidant. #4 Camomile Tea for relaxing. - Take a break and relax yourself from a busy day with a hot cup of Camomile tea. - Peppermint tea is a very soothing tea to refresh both your body and spirit as peppermint has an active ingredients which is the menthol. - It is a robust full-body tea with light floral undertones. It produces a comforting aroma when blended with milk. #1 Barista Beans Machine is the Italy fully beans-to-cup barista machine. 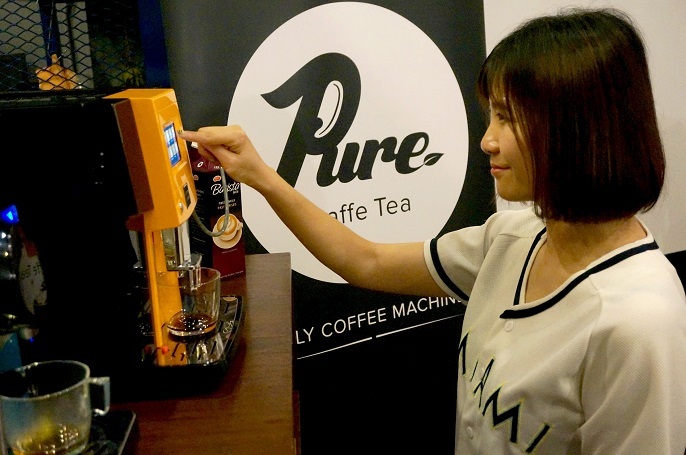 #2 Freedom C11 Plus is a fully automatic capsule coffee and tea machine. 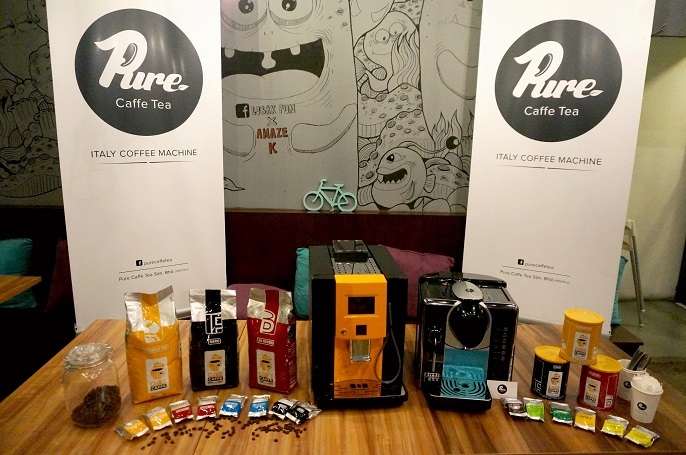 The BEST thing about Pure Caffe Tea is you can enjoy all these premium coffees and teas without paying a single cents to the coffee machines. All you need is just rent the coffee machines and purchase their in-house powders and capsules. Also, by renting their machines, they will provide free cleaning and maintaining services at your place. 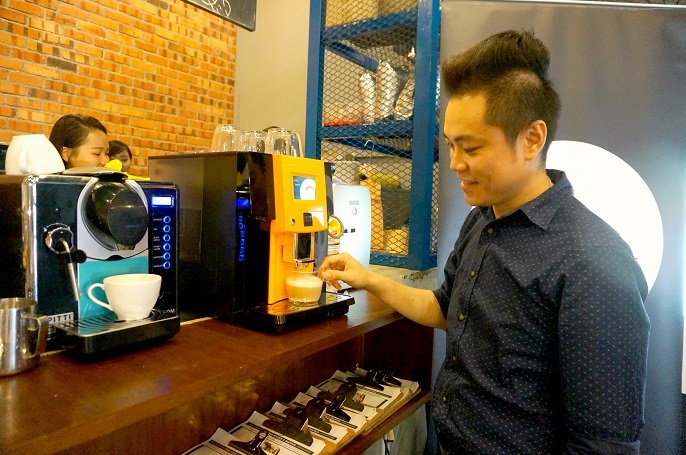 Can you imagine that you can now be your own barista with such convenient coffee machine at your home and office? 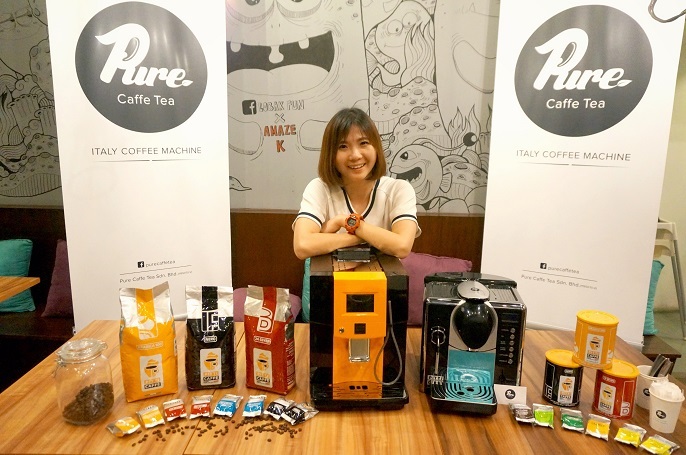 Pure Caffe Tea has just recently launched in Malaysia is now looking for someone who are independent, positive, optimistic, hardworking and passionate with no experiences required to join their big group. You will be given professional training such as product knowledge, sales skill, communication coach, barista training and latte art classes. 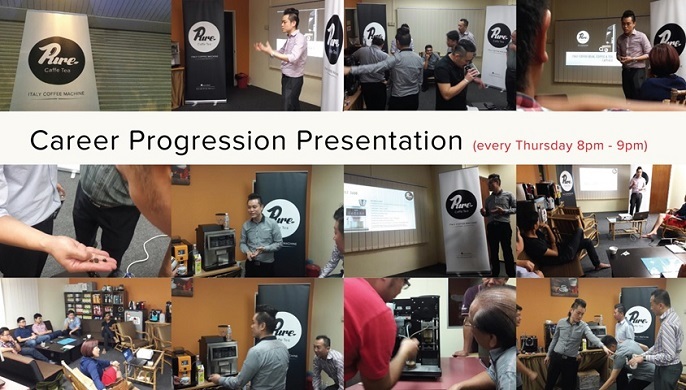 The career progression presentation is on every Thursday at 8pm till 9pm. You can also join their latte class which trained by the professional barista. Whoever loves coffee and wish to learn the latte art work, you are welcome to join them! 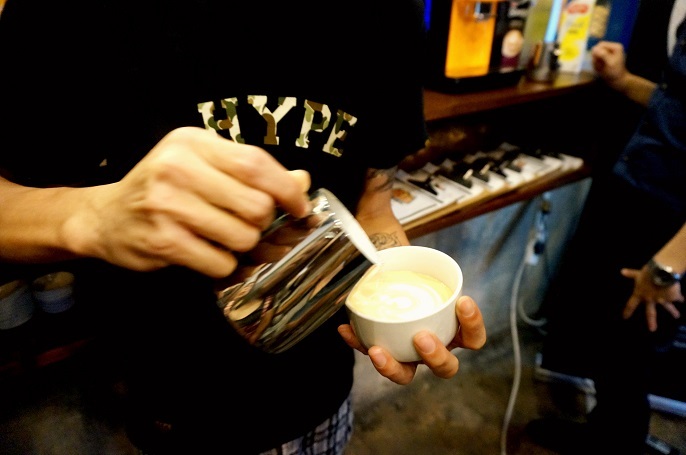 Simply share the post on their FB PAGE, then you get to learn latte art for only RM30! There is a big coffee and tea expo coming in next month. 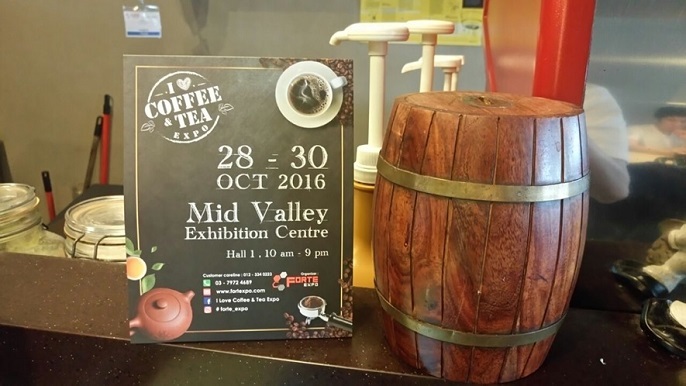 The Coffee & Tea Expo will be held at Mid Valley Hall 1, from 28th till 30th October 2016. 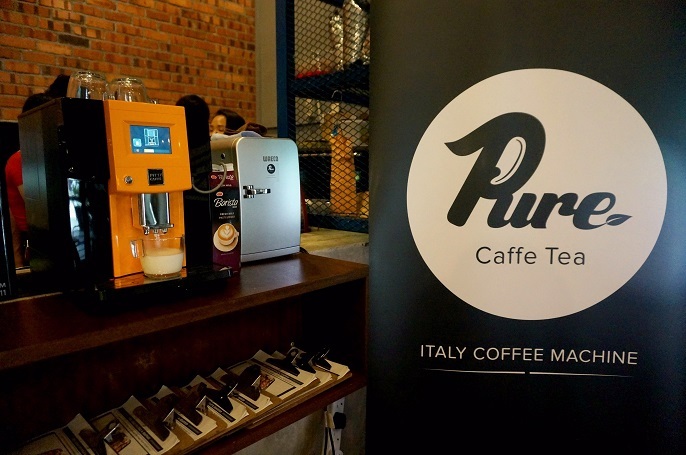 If you are interested to try out their coffee, feel free to drop by at the Pure Caffe Tea's booth as they are giving free coffee everyday during the expo. 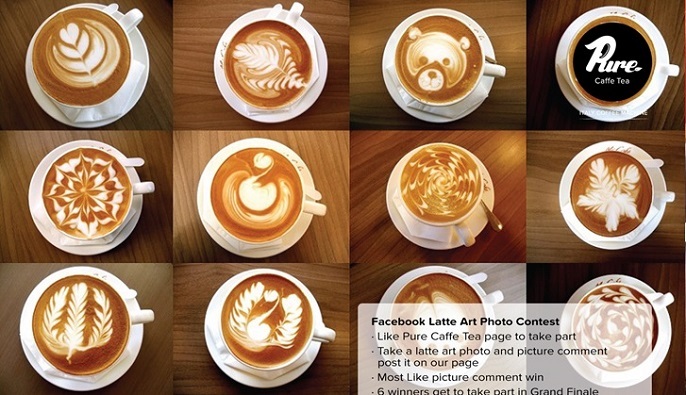 There is a Facebook Latte art photo contest too. #3 The picture with MOST likes and comments is the winner! #4 The 6 winners will take part in the grand finale at the Latte Competition at I Love Coffee & Tea Expo. 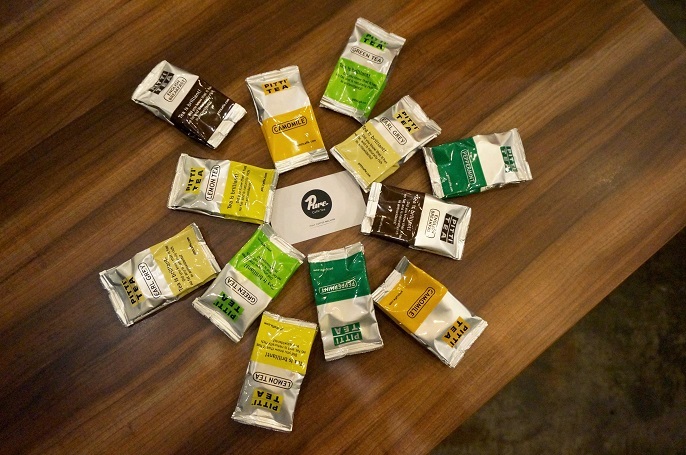 For more information about Pure Caffe Tea, you can follow them on their FB page at https://www.facebook.com/purecaffetea/?fref=ts. Pure coffee has been taken by the people for the satisfaction in life. All the option of the good coffee have even highlighted for the contentment of the youngsters during cold weather.